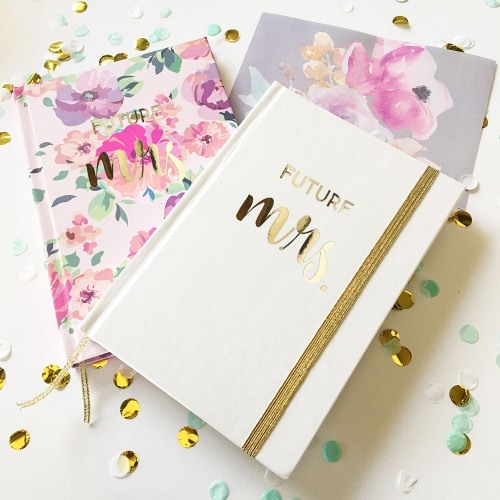 The Future Mrs. Journals make a great gift for the future bride to be! The 80 page journal comes in a variety of colors with "FUTURE mrs." in a metallic gold vinyl and a gold elastic is included. A thoughtful gift for the bride to be in your life.